Kinder Morgan stated the main reason for halting the project is the strong opposition of the provincial government. 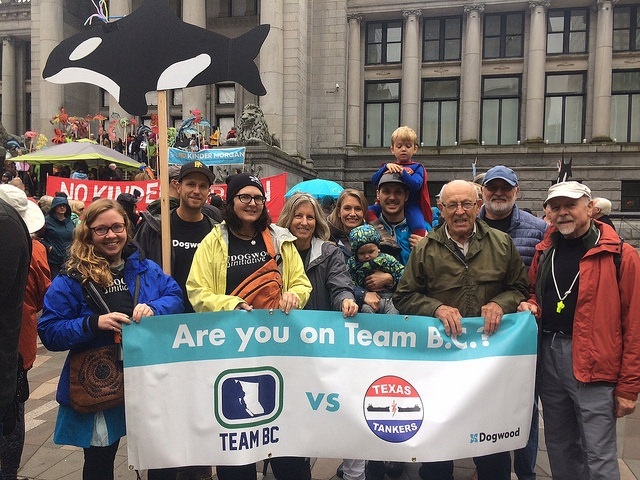 Our job is to hold Premier Horgan to his word – and engaging 1000’s of committed citizens in the online comment period on dilbit regulation is a critical part of this mission! Join us for phone banking at the VanCity Community Room on Commercial Drive on Thursday, April 26, from 5:30 to 8:30 p.m..
We’ll be calling folks who have recently signed a postcard to Premier Horgan, directing them to the online comment form to ensure they take part. Please bring a computer and headphones (the Iphone type work well). If you don’t have either of these, let us know and we can provide what you need. Our system is fun and easy to use! Training will be provided. RSVP to join the phone bank. Questions? Please email the event organizer below.